Multi-gen living arrangements are one of the top reasons to build your new home with a custom home builder in North Carolina - so you can create a layout with special consideration for places to mingle and spaces for privacy. 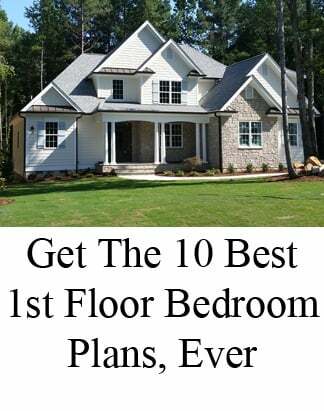 Get the 6 Things to Think About Before Choosing Your Next Home (and 5 bonus aging in place floor plans not included in this post). 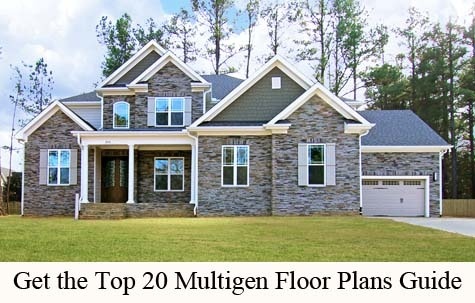 Here are 7 dual master / multigenerational homes with floor plans and photos, to give you ideas for your new multi-gen home as you work with your custom home builder in NC. 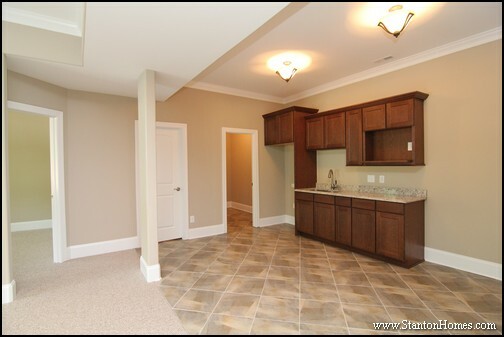 Click on photos to see layouts and more pictures of each multi-gen home. This custom designed multi-gen home has 4345 square feet, 4 bedrooms, 3.5 baths, dual master suites, home theater, office, exercise room, dog room and formal dining. The Barcelona provides spacious private quarters on separate floors, and generous main living areas. The chef's kitchen is designed for multiple tasks and gathering. This multi-gen home has 5751 square feet, 4 bedrooms. 4.5 baths. Movie set stairway with incredible overlook. Amazing kitchen. Entertainment floor, with full bar and fireplace. Curved balcony overlook. More than 80 windows. The Grand Lodge is the ultimate in luxury living for multi-gen families. 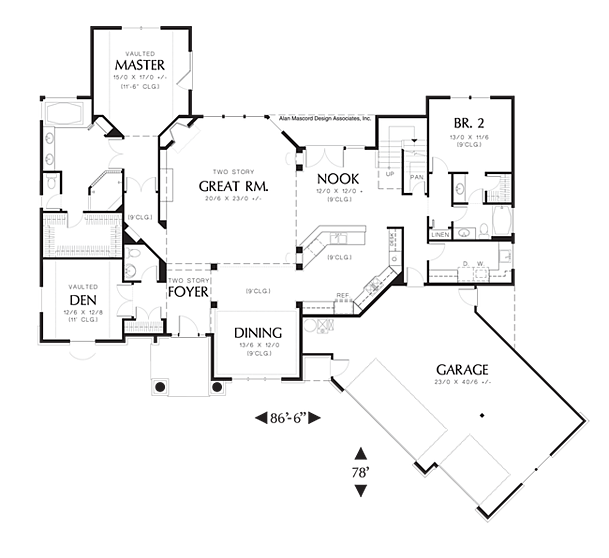 The Serengeti has 4,364 Sq Ft with 5 bedrooms, 4.5 bathrooms. The owner's suite is upstairs and a bedroom suite for mom with a big walk-in closet and private bath are downstairs. Two islands in the kitchen provide lots of space for cooking projects with easy access to the breakfast, sitting, and keeping room. There is also a home office and a prayer room in this custom designed interior. 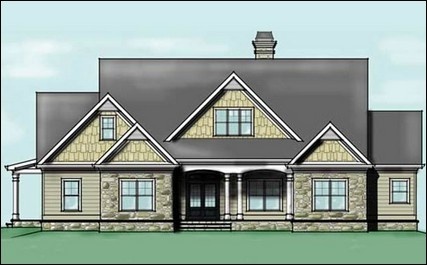 The Dickerson is 2907-3245 Sq Ft with 4 bedrooms, 3.5 bathrooms. The Master Suite is upstairs. A spacious downstairs Bedroom Suite with private bath can be connected to an expanded sitting room and the possibility of a small kitchenette in place of the main floor Office. Kids bedrooms can connect through a secret passageway with a play area between. 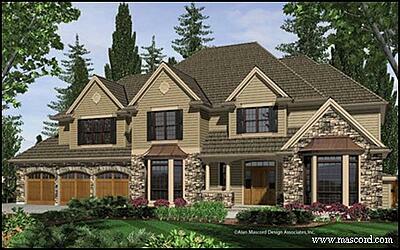 The Maple Lane is 3,275 Sq Ft with 5 bedrooms, 4.5 bathrooms. There is a full apartment within the home, with a Second Master Suite that includes the privacy of its own sitting room and outdoor living access. The Master Suite on the second floor second has a private Romeo and Juliet deck, huge walk in closet with cabinet island and an adjoining exercise room. 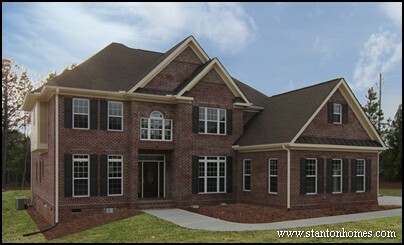 The Hopkins has 2604 Sq Ft with 4 bedrooms, 3.5 bathrooms. The Owner's Suite is upstairs. 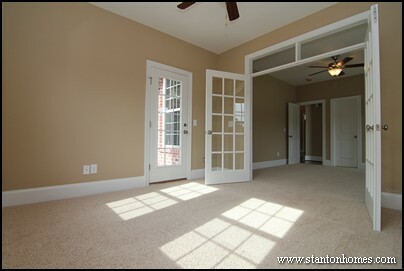 The downstairs Dual Master Suite can have additional privacy by expanding into the Living Room on the main floor. This version has a 3 Seasons Room with an Outdoor Kitchen. 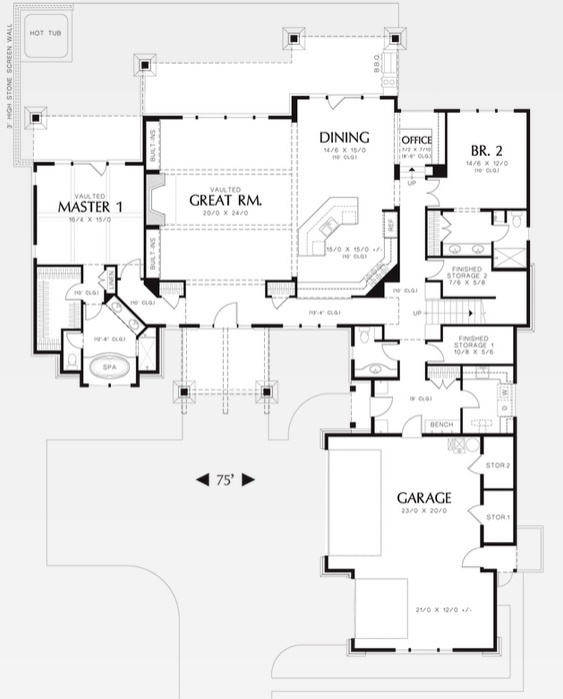 The Dugan is 3184 Sq Ft with 4 bedrooms, 3.5 bathrooms. It can be built with an elevator to the upstairs, like this version, and can also have full accessibility throughout the home. As with all custom homes built by Stanton Homes, we can modify this custom designed home even further to accommodate special needs. 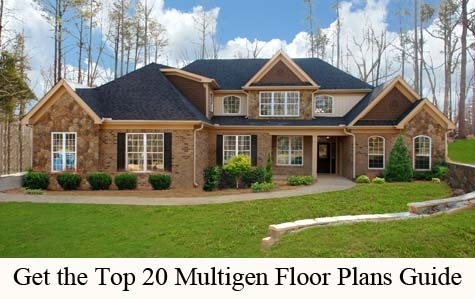 What floor plan options, features, and layout components are considered most important for multigenerational living arrangements in North Carolina? A balance of private and shared spaces. Private spaces can include entrances, living areas, kitchens, dining areas, and even separate home offices. Aging in Place or Universal Design. Read more about aging in place features, here. Direct or private access to the laundry room. Laundry rooms with multiple entrances - in a "buddy" style - can allow extended stay guests direct access to the washer and dryer. Distance between private quarters. Multigenerational designs can emphasize space separation with a basement or second floor suite. Let us know what layouts, designs, and features you like most. 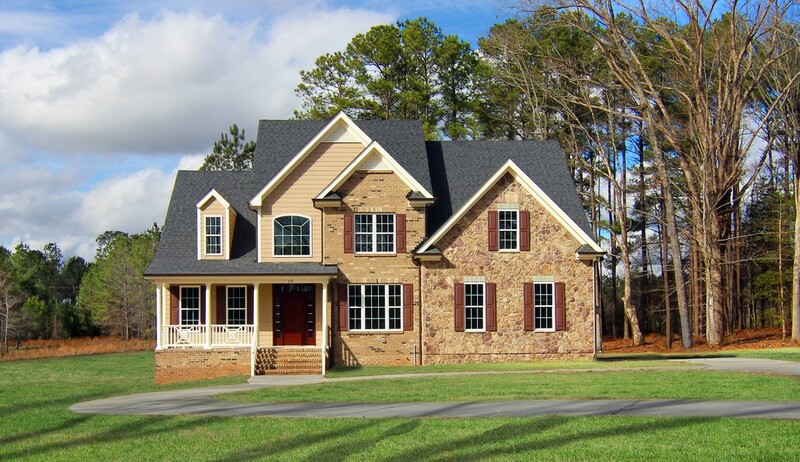 We’ll listen to your ideas to design and build a multigenerational home just for your family. 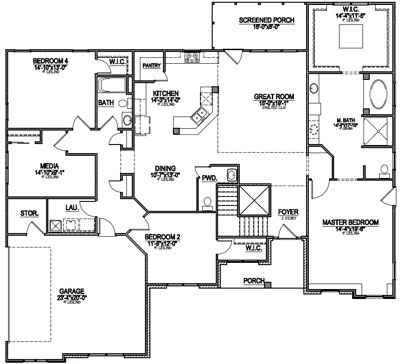 This version of The Serengeti offers two master bedrooms (one upstairs, one down) in a multigenerational floor plan. The two islands in the kitchen open to the breakfast, sitting, and keeping room. 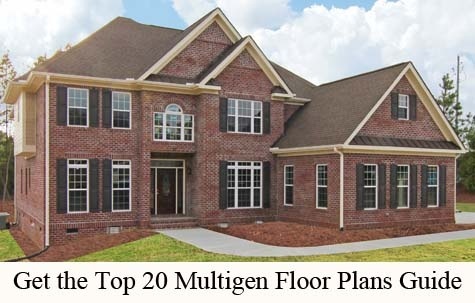 This multigen floor plans also has a split three car garage, home office, formal dining, living, tile floor sun room, and mud room with drop zone storage. Upstairs, each bedroom has direct access to a bath. The "princess suite" has a private bathroom and walk in closet. 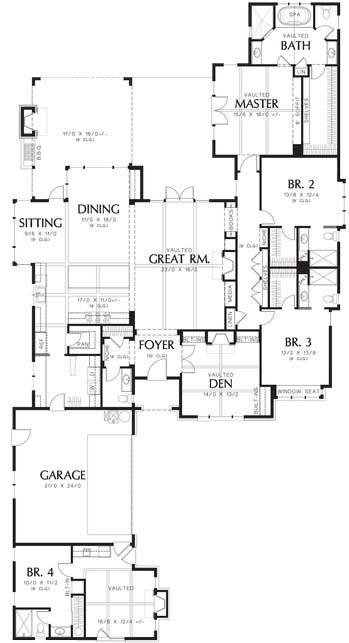 3,333 Sq Ft. 3 Bedrooms. 3.5 Baths. 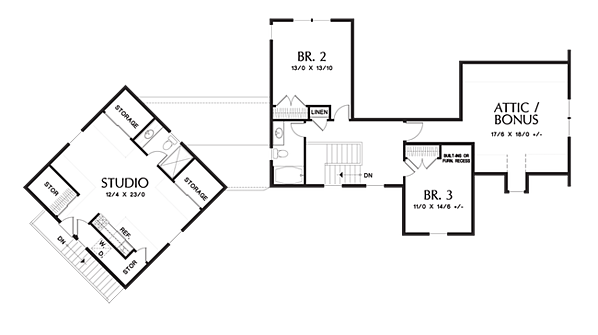 The Hartford -- an Alan Mascord floor plan -- offers a separate studio suite over the garage. 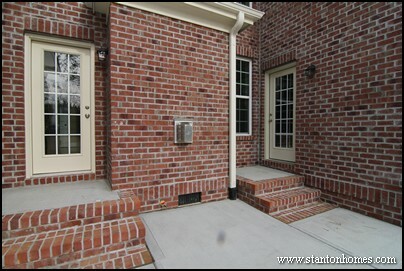 The studio has a private entrance through an exterior staircase. 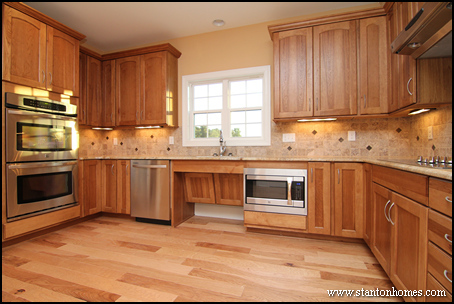 The main floor offers an island kitchen open to the great room, home office, and mudroom style laundry. 3,275 Sq Ft. 5 Bedrooms. 4.5 Baths. 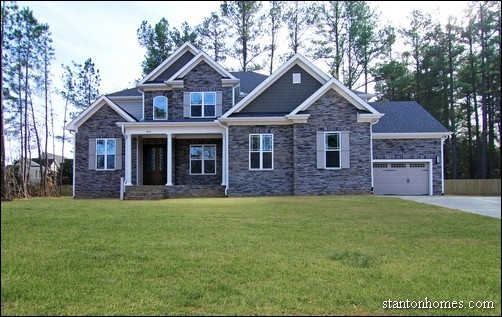 This multigenerational design - an Atlanta Plan Source and Stanton Homes floor plan - is a traditional style house plan with a full guest or mother in law suite on the first floor. The first floor quarters are accessible from main living area (with an optional exterior entrance). 3,184 Sq Ft. 4 Bedrooms. 3.5 Baths. 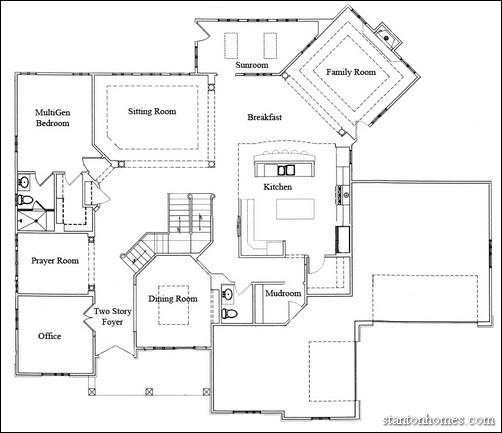 This multigenerational house plan - a Stanton Homes floor plan - includes an elevator leading to the second story multigenerational suite. 3,718 Sq Ft. 3 Bedrooms. 2.5 Bathrooms. 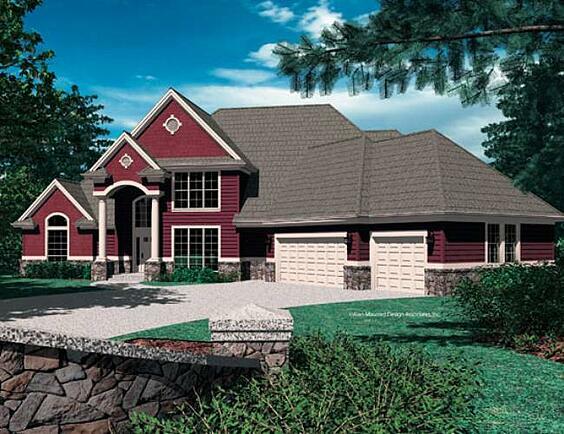 This multigenerational house plan -- by Max Fulbright -- is a Cottage style house plan. The basement level -- designed for a mountain or sloped lot -- offers the option of a living room with wet bar, bedroom, bath, and private storage. 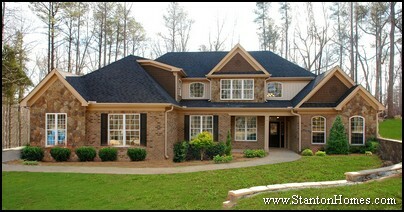 3,327 Sq Ft. 4 Bedrooms. 4.5 Bathrooms. 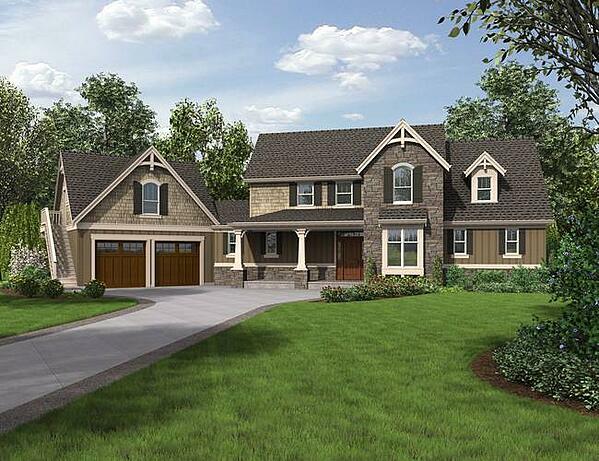 This multigenerational home plan -- design by Alan Mascord -- is another example of a cottage style home. 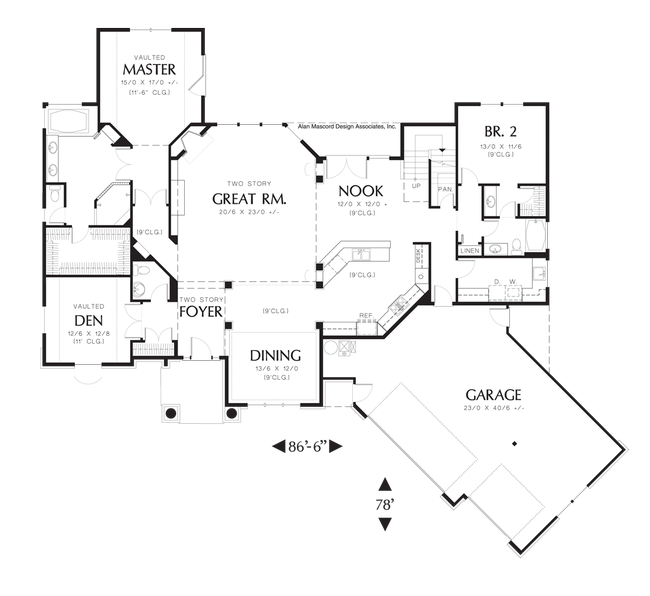 The multi-gen living space -- an apartment style living space -- is completely separate from main dwelling. This Mother in Law Suite offers a private vaulted living room, kitchenette and bath (there's even an option for a fireplace). 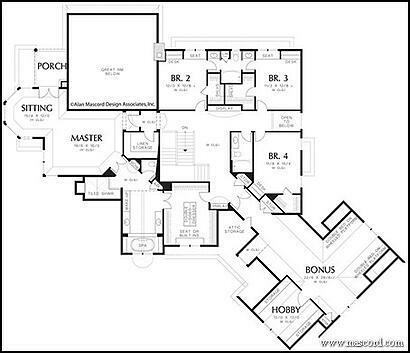 3,716 Sq Ft. 5 Bedrooms. 3.5 Baths. This version of The Greenhaven - home plan by Stanton Homes - offers a full multigenerational suite (living room, bedroom, and accessible bath) on the first floor. This multigenerational space has a private entrance from the side of the home. 3,664 Sq Ft. 4 Bedrooms. 3.5 Baths. 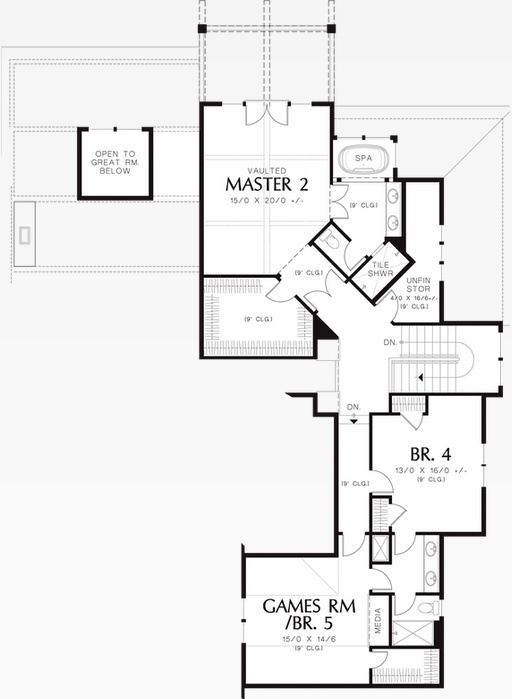 The Foresman -- an Alan Mascord floor plan -- offers flexible, open concept living. 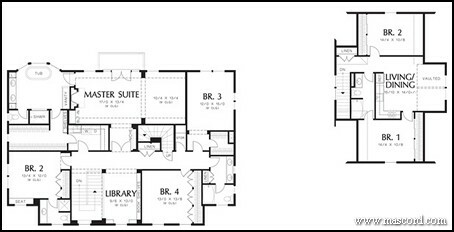 In addition to the first floor master, a private guest suite accommodates extended stay guests on the opposite end of the floor plan. The first floor guest suite separated from main floor master has an optional separate door to the buddy bath. With a few easy floor plan adjustments -- such as removing the hallway access door and expanding the vanity -- a custom home builder can re-arrange this guest bathroom into a more private space. 2,436 Sq Ft. 3 Bedrooms. 3.5 Baths. The Faucett -- copyright Frank Betz -- has two master suite, on the first and second floors. The Dennison -- copyright Alan Mascord -- has two master suites (one on the first floor, one on the second floor) plus a separate guest suite. 4408 Sq Ft. 5 Bedrooms. 4.5 Bathrooms. 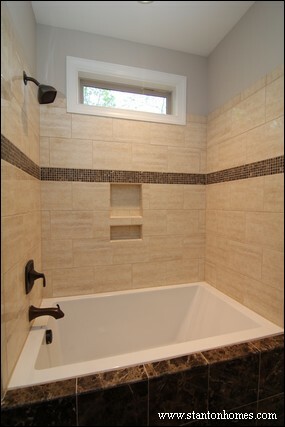 Each master suite has a tile shower, soaking tub, walk in closet, and vaulted ceiling. The first floor master has private access to outdoor living spaces (and the optional hot tub). The second floor master is more secluded from main living areas. The Vidabelo offers two master suites, both on the first floor. 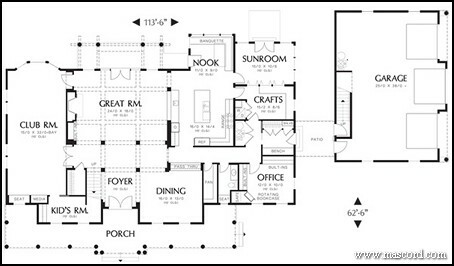 3084 Sq Ft. 4 Bedrooms. 3.5 Baths. Is your current home suited to multigenerational living? 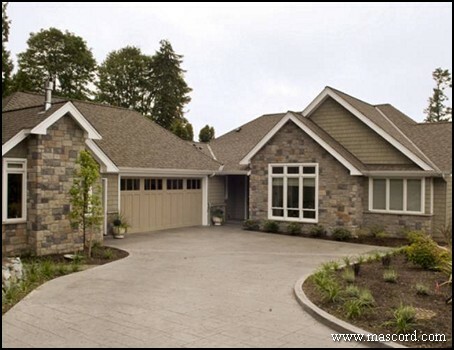 Get started here with - find more multigenerational house plans online. Or tell us what you’re looking for. We’ll search and email you more ideas. 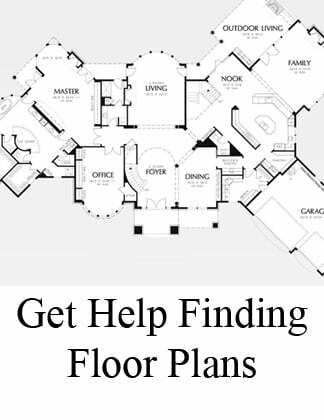 We have access to tens of thousands of plans from virtually every architect and floor plan source. 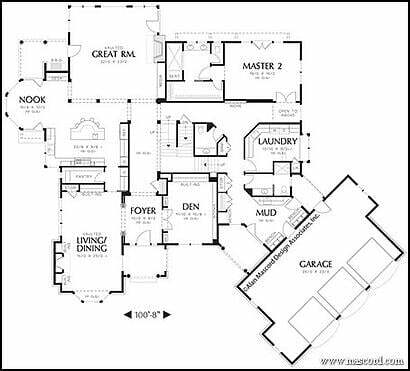 Existing multigenerational and mother in law suite home plans - also called mother in law suite home plans - can be difficult to find. 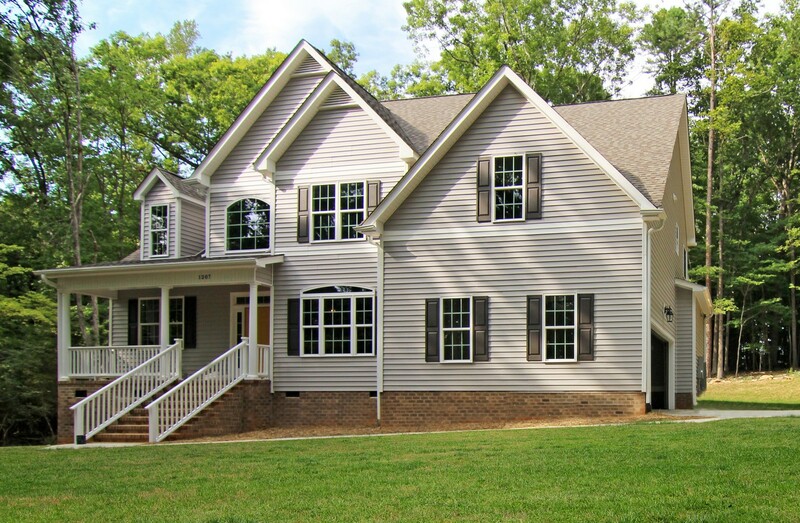 Below are 10 multigenerational home plan options, ready to build in North Carolina. Let us know what layouts, designs, and features you like most. We’ll listen to your ideas to design and build a multigenerational home just for your family. 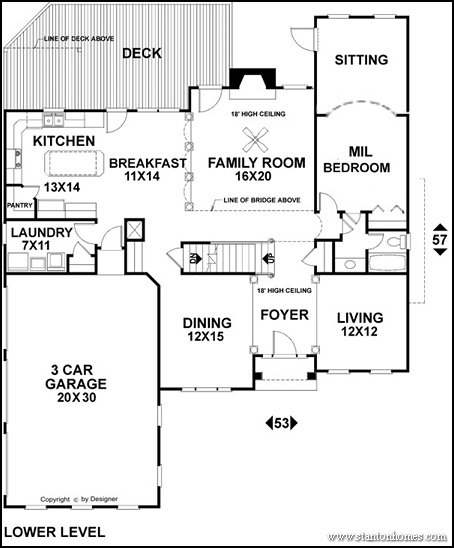 What floor plan options, features, and layout components are considered most important for multigenerational living arrangements? What are 7 must-have design features for multigenerational living? Many must-haves allow each generation to maintain private, dedicated living spaces. 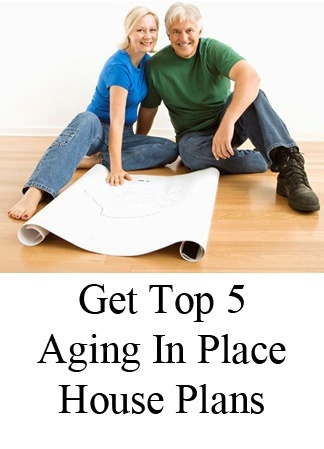 Others features make aging in place easier. Homes with a guest suite (or two master bedrooms) often incorporate an indispensable feature of multigenerational living: a reserved, private bathroom. While guest, mother in law, and second master bathrooms are typically smaller than master bathrooms, they can feature upscale designs such as tile tub surrounds, large his and her vanities, and separate toilet rooms. 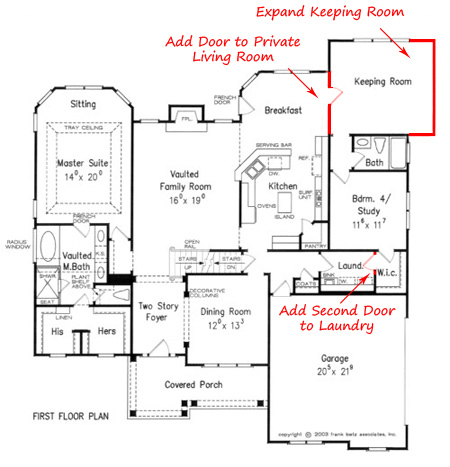 Find two master bedroom floor plans here. And see photos of guest suite quarters in these Raleigh custom homes. One of the most requested - and expensive - multi-gen features is a private Kitchenette for mom and dad. What's the difference between a kitchen and Kitchenette? Square footage and appliances (number, type) are two primary features distinguishing a kitchen and Kitchenette. This basement mother in law design offers a single-wall kitchenette equipped with a refrigerator, sink, microwave, lots of cabinet space, and convenient wall plugs placed for a coffee maker and other essential appliances. A separate living space - living room, sun room, or sitting room - offers independent space for each generation to work and play at home. 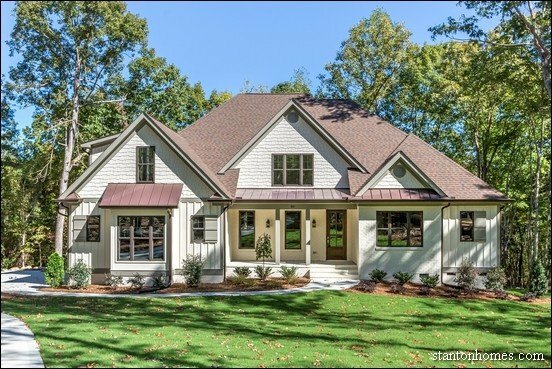 In this Raleigh custom home, double French doors separate the bedroom and living room, which has direct access to outdoor living spaces. 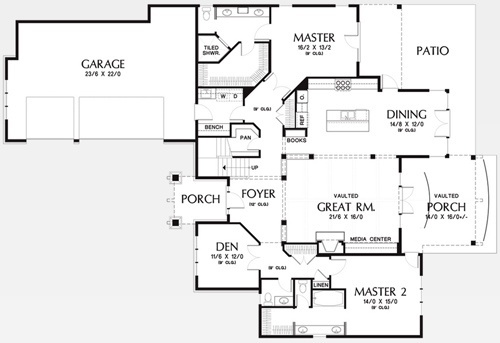 See the floor plans for this multigenerational home, here. 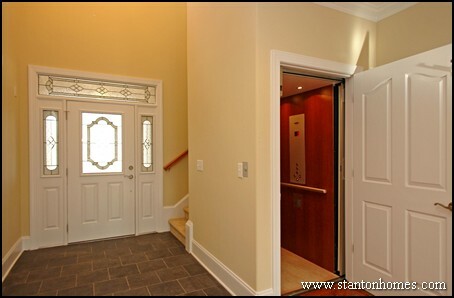 A private entrance allows family and friends to come and go without disturbing the household. In this Raleigh home, a private entrance offers access to outdoor living spaces (a concrete patio and screen room). The door on the left leads to the great room. The door on the right leads to the extended stay guest suite. Laundry rooms with multiple entrances - in a "buddy" style - allow extended stay guests direct access to the washer and dryer. These custom modifications, including an expanded keeping room with door-only access and an additional door to the laundry room, transformed shared spaces into a private wing of the home. 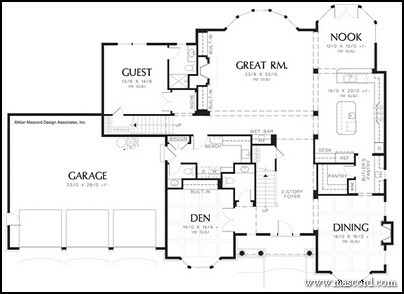 Multigenerational designs can emphasize space separation with a basement or second floor suite. In this version of The Dugan, a mother in law suite extends throughout the entire second floor. An elevator (added with future use in mind) extends accessibility to the space. From roll-under and reduced height counter tops and sinks to easy grip cabinet pulls and maximum lighting for increased visibility, multigenerational kitchens can include a range of adapted, accessible, and universal features. 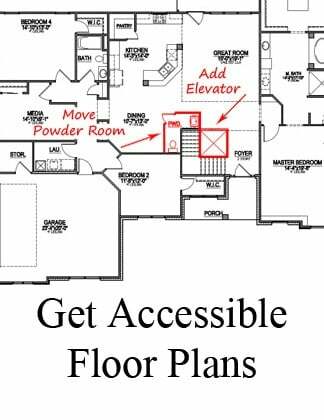 What features should I look for in an accessible home? Learn more about wider hallways, entry ways, turning radius capability, non-slip flooring, ramps, and other basic requirements. Separate apartments, guest suites, and mother in law quarters are a common element in today's custom homes. 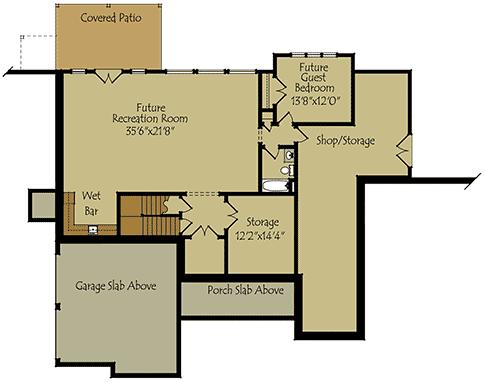 If you can't find a plan that has what you need, we can show you more multigenerational living floor plans - just ask us for more ideas. We expect to see the more requests for multigenerational and mother in law suite homes. 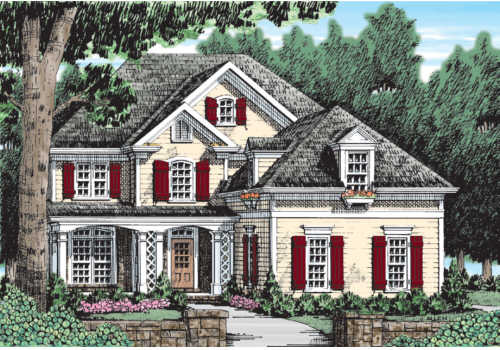 This first multigenerational design - an Alan Mascord floor plan - is a colonial style multigenerational house plan. This home is 6,679 square feet with four bedrooms, three full baths, and one half bath. While this home is very large, the concept of having a separate apartment over the garage definitely hits the Top 3 Multigenerational Living list. 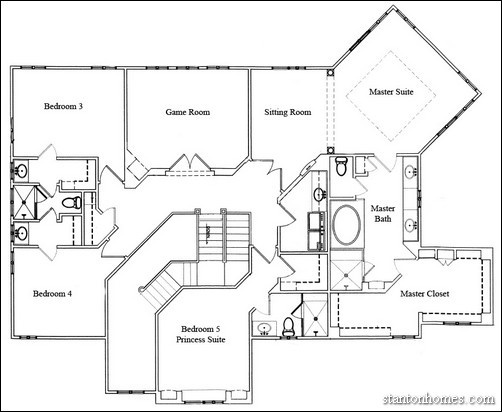 The second floor master suite with sitting room is a 2013 design trend. 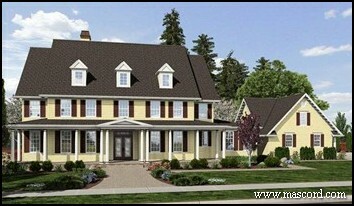 This next multigenerational design - also by Alan Mascord - is a European country style house plan. This home is 6,847 square feet with five bedrooms, five full baths, and one half bath. This home features two master suites - one on the first and second floor. 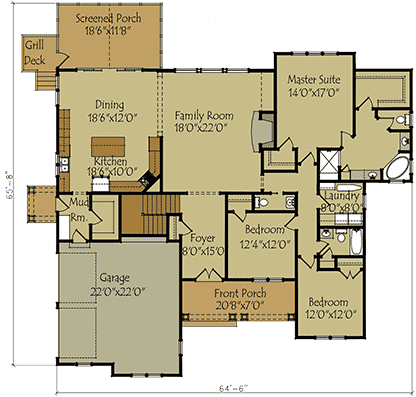 This floor plan also includes a master suite with sitting room and second story porch! 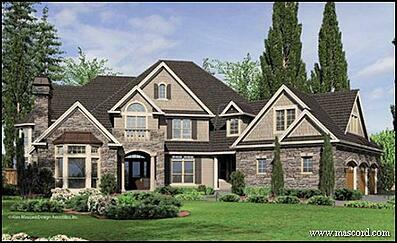 This last multigenerational design by Alan Mascord is a French country style house plan with guest suite. This home is 5,279 square feet with five bedrooms, five full baths, and two half baths. This home features a first floor guest suite and second floor master suite. This home is perfect for part time or long term live-in guests. 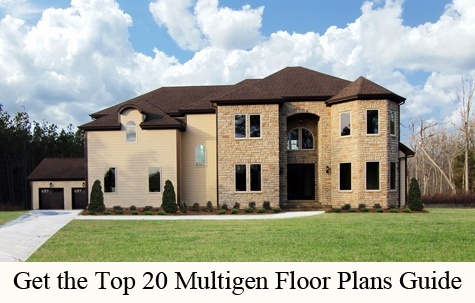 Get started here with the top 20 multigenerational house plans. 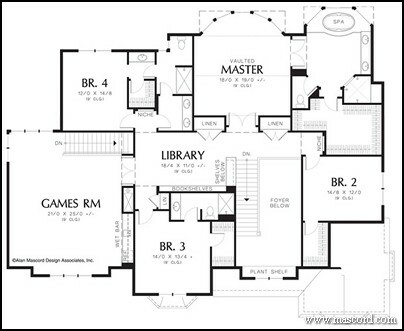 *Floorplans and exterior renditions are Copyright Alan Mascord & Associates. Used with permission.